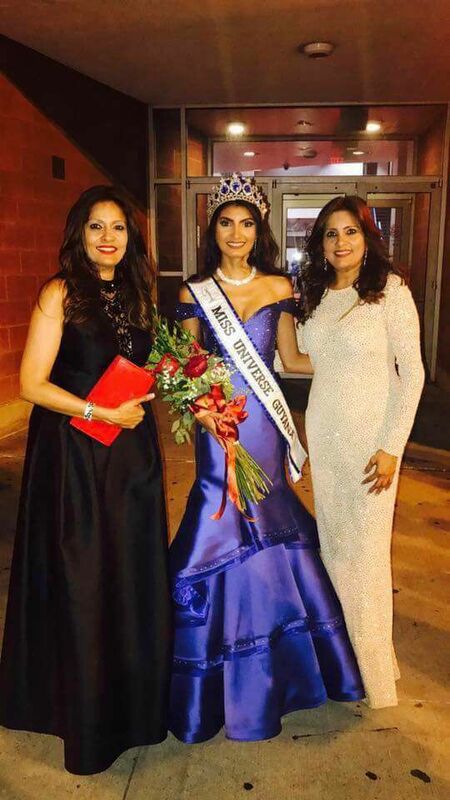 Former Miss World Guyana, winner of Beauty With A Purpose and Miss World Caribbean 2014 Rafieya Husain was crowned the new Miss Universe Guyana held at York College, New York. Rafieya competed against 10 other contestants to win the title, she also won the awards for Best Interview, Miss Popularity and Most Elegant. Rafieya, a native of Essequibo County, was crowned by the reigning Miss Universe Guyana, Soyini Fraser. She will represent Guyana in the 2017 edition of Miss Universe pageant likely to be held n Arizona, USA. At the same event, the 1st Runner-up title went to Sharisse Victor and 2nd Runner-up spot was givent to Nalicia Ramdyal.